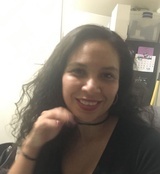 Posted Jan. 19, 2019, 8:45 p.m.
Posted Dec. 14, 2018, 3:44 p.m.
Zindy Carolina Gonzalez Escobar, who was also known as Carolina Medina, a 31-year-old Latina, was killed Thursday, Nov. 22, 2018, in the 7500 block of Enfield Avenue in Reseda, according to Los Angeles County coroner’s records. Shortly before 11 a.m., officers from the Los Angeles Police Department were called to an apartment regarding a suspicious death, according to a news release from police. Officers determined that Escobar had suffered from “blunt force injuries” that resulted in her death. Escobar was pronounced dead at the scene at 11:01 a.m., according to coroner’s records. The coroner's office identified Escobar as Carolina Medina. Escobar’s boyfriend, who is also the father of her child, was interviewed by police. Police said that the man, later identified as Ricardo Sauz, a 35-year-old Latino, “confessed to causing the victim’s death,” according to a police statement. Prosecutors have charged Sauz with one count of murder, according to the Los Angeles County district attorney’s office. Prosecutors said that Sauz attacked Escobar in the apartment bathroom. According to coroner's records, Escobar had washed up and was dressed in clean clothing when authorities arrived. Anyone with information is asked to call detectives at (818) 374-9550. Those who wish to remain anonymous can call Crime Stoppers at (800) 222-8477.